Hurco is well known for our powerful and easy to use conversational software; and for 2D and simple 3D geometries, the WinMax conversational control simply can’t be beat. But what about those jobs that share both simple 2D features and complicated 3D shapes - that can only be programmed using CAD/CAM software? 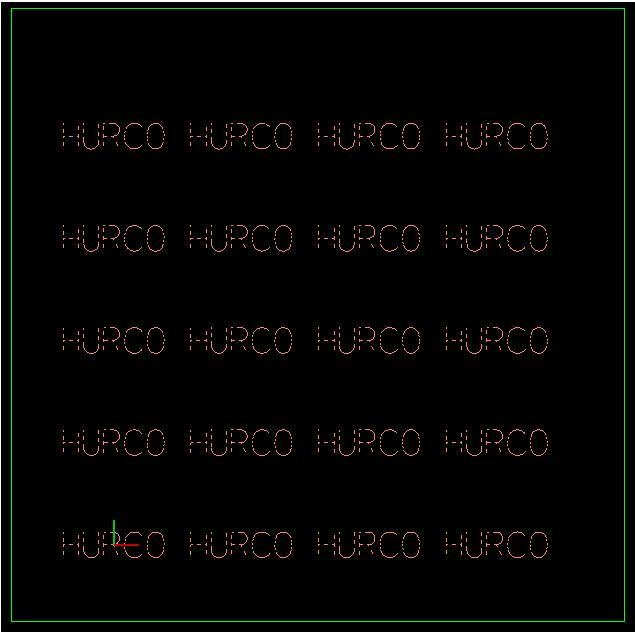 Well, Hurco has an answer for that as well. NC Merge is a conversational block, inserted within a conversational program that is used to call an NC program whenever the need arises. This offers the machine operator the flexibility and versatility of programming the simple 2D geometry in the WinMax conversational program language – still allowing them to take advantage of all of the strength and flexibility of conversational programming – but provides them with the option of calling the NC program when necessary. To add additional versatility and strength to this already powerful function, the WinMax control also offers the programmer the ability to combine the NC Merge option with conversational patterns - scale, mirror image, transform plane, loop linear, loop rotate, etc… Scaling NC features, or using mirror imaging for left & right part features is a good example of this additional flexibility. NC Merge can also be used with “nested” patterns - so you can: both scale a feature, AND mirror image it, in the same program – as many times as necessary to complete a particular part. Follow the link provided to download a detailed document to learn more about using NC Merge, and to see how this powerful control feature may help you become more productive.